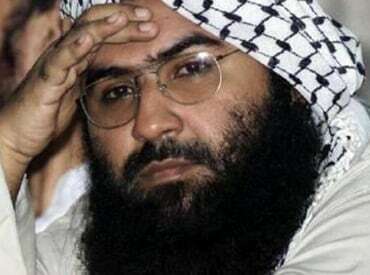 The dreaded architect of some of the most gruesome terror attacks in India, Maulana Masood Azhar, was an "easy man" to handle in custody and he got shaken up on the first "slap" from an army jawan prompting him to blurt out details of his movements, says a former police officer who interrogated him after his arrest in 1994. Azhar, who had used a Portuguese passport to enter India through Bangladesh and reach Kashmir, was arrested in February 1994 in Anantnag in South Kashmir. In the custody, the intelligence agencies did not have to do much work on Azhar who started speaking after the first slap from an army officer and gave deep insights into the functioning of terror groups operating from Pakistan, the officer said. "He was an easy man to handle and a slap from an army officer had shaken him completely," former Director General of Sikkim Police Avinash Mohananey, who interrogated Azhar many a times during his two-decade tenure in the Intelligence Bureau, told PTI. After his release in exchange of passengers of hijacked IC-814 flight of Indian Airlines in 1999 by the then BJP government, Azhar formed Jaish-e-Mohammed and scripted many audacious terror strikes in India, including on the Parliament House, Pathankot air force base, army camps in Jammu and Uri, and the latest suicide attack on CRPF in Pulwama which claimed the lives of 40 personnel. While in custody, Azhar, in his early 50's now, shared information about recruitment process and functioning of terror groups in Pakistan at a time when the intelligence agencies were still grappling to understand the proxy-war unleashed by Pakistan's espionage agency ISI, said Mohananey, a 1985-batch IPS officer who headed the Kashmir desk in the agency at that time. "There were several occasions when I met him in Kot Balwal jail and interrogated him for hours together. We did not have to use any coercive method as information flowed consistently from him," he said. Azhar gave the Indian agencies vital insights into diversion of Afghan terrorists into Kashmir Valley and merger of Harkat-ul-Mujahideen and Harkat-ul-Jehad-e-Islami (HuJI) into Harkat-ul-Ansar, represented by him as its general secretary, he said. After his arrival into India from Bangladesh in 1994, Azhar had travelled to Saharanpur before reaching Kashmir where he held meetings of warring factions of HuM and HuJI to formulate a common policy, Mohananey said. "I came on a forged Portuguese passport for ensuring that HuM and HuJI are together in the valley. It was not possible for me to cross the Line of Control on foot," the police officer recalled Azhar telling them. A man of mannerism and etiquette during questioning sessions, Azhar used to give a detailed description to any question that was asked to him, he said. The Jaish chief, during his stint as a journalist with 'Sada-e-Mujahid', a tabloid published from Karachi, had travelled in 1993 with a group of Pakistani scribes to some countries drumming up support for "Kashmir cause', he said. Mohananey recalled that Azhar would often boast that police could not keep him in custody for long as he was important for Pakistan and the ISI. "You are underestimating my popularity. The ISI would ensure that I am back in Pakistan," the police officer recalled him as saying. Surprisingly, some foreigners were kidnapped from Delhi 10 months after his arrest in February 1994 and the kidnappers had demanded his release. The plan failed with the arrest of Omar Sheikh, who was also released in exchange of the 1999 hijacking, and was later involved in the gruesome beheading of Wall Street Journal reporter Daniel Pearl in Pakistan. Another attempt to release him was made by a shadow group of Harkat-ul-Ansar, Al-Faran, which demanded his release in exchange of five foreigners kidnapped in Kashmir in July 1995. Before shifting out to another posting, the officer said, "I met him again in 1997 when he was in the same jail. I informed him that I was proceeding out to a new posting to which he wished me good luck." "I was at new posting when I heard about his release on December 31, 1999 in exchange for passengers of IC-814. He really meant that we will not be able to keep him for long," he said. The then BJP-led NDA government had released Azhar, along with Omar Sheikh and Mushtaq Ahmed Zargar alias 'Latram', in exchange of passengers of Indian Airlines flight IC-814 from Kathmandu to New Delhi which was taken to Kandahar in Afghanistan. After the negotiations failed with hijackers, the government succumbed to their demands and the then external affairs minister Jaswant Singh took the three terrorists to Kandahar in Afghanistan in a special plane to ensure the release of passengers of the hijacked plane.